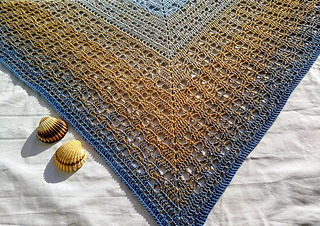 Tranquility is a triangular shawl that is worked top down. 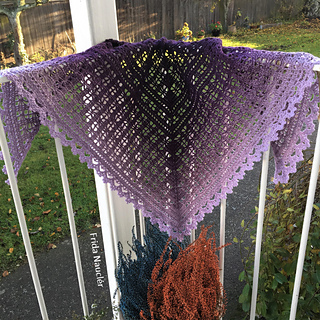 The lace pattern with hidden hearts inside the edge gives the shawl a romantic vintage feeling. 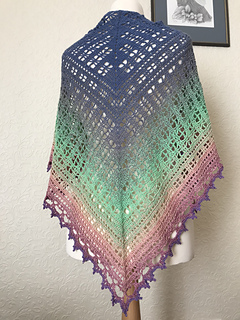 This patterns is best made with a thinner yarn and hook 3-4 mm. 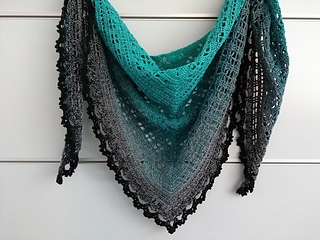 The pattern gives you additional rows if you like to make your shawl a little bigger. Written pattern in English (US terms), Swedish, Portuguese, German, French, Dutch, Slovak, Danish and Spanish. 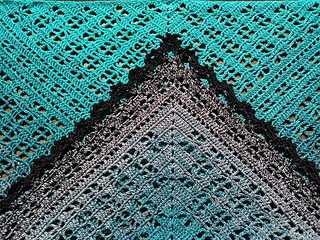 Full stitch count for each row.